You might know what part of Florida I’m talking about — the part that has dozens theme parks, miles of high-rise-choked beaches, and trillions of human-planted palms everywhere. 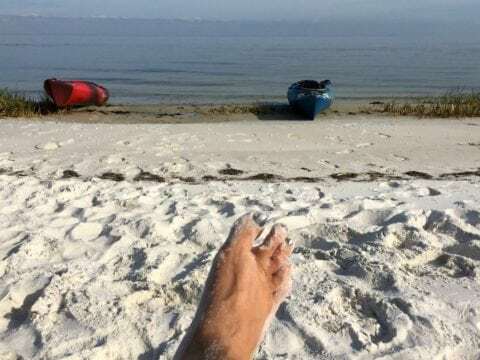 No… Cedar Key isn’t anything like Tourist Brochure Florida! This small island town has about 800 full-time residents, though this number grows significantly during the winter months when snowbirds (northern tourists) take up residence in condos and trailer parks there. And it’s a perfect place to go during the slower summer months — or really anytime of the year when you want to get away from the hustle and bustle of city life. My fiance and I took a day trip to Cedar Key from the Tampa area, about a 2-hour drive to the southeast. Where Is Cedar Key, Florida? Cedar Key is accessible via a bridge connecting some of the islands to the mainland. This part of Florida, sometimes called the Big Bend — because it connects the peninsula to the panhandle, is rural and sparsely populated. The nearest north-south artery is US 19/98, some 24 miles to the east of town. Cedar Key, which sits on a little archipelago chain, was named “Florida’s Rural Community of the Year” by the U.S. Department of Agriculture. The town draws many artists, anglers, retirees, and nature tourists — yet it remains a quiet community with many stretches of unspoiled land and shoreline. That’s probably partly why so many people love going there. There’s not much of “real” Florida left these days, but there’s still plenty of it to be found on these North Florida islands. There many things to see and do in Cedar Key — including shops, restaurants, museums, boating, fishing, and more. Part of what makes the town a nice destination is that it isn’t full of tourist traps. So when you visit Cedar Key don’t expect to spend your vacation standing in long lines at mega attractions like theme parks or the like. Cedar Key Beach — Cove beach is a little beach near the attractions on Dock Street. It features the sugary white sand that Florida’s Gulf Coast is famous for. If you’re coming here looking for wave action, you may want to look elsewhere. This small beach is in somewhat of a protected inlet, but it’s the perfect place to sun, relax, and watch nature. It’s also really the only publicly accessible beach in Cedar Key and is convenient to one of the city’s main public parking areas. Cedar Key Fishing Pier — Want to drop a line to catch some fish or simply catch a great sunset? 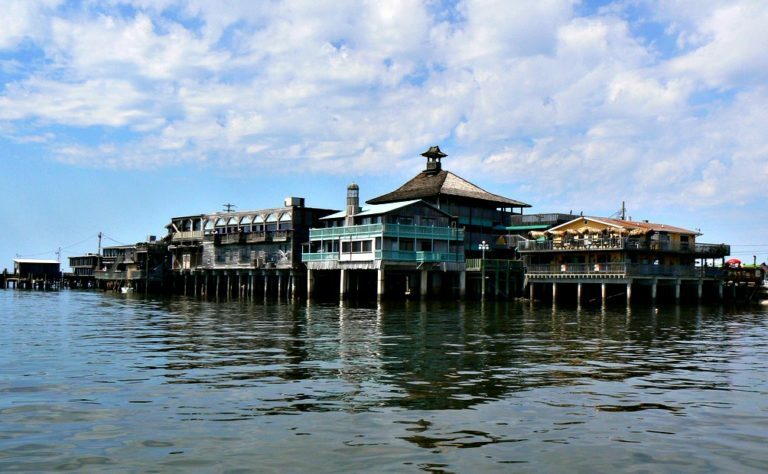 The Cedar Key fishing pier is a great place to do either… and more! 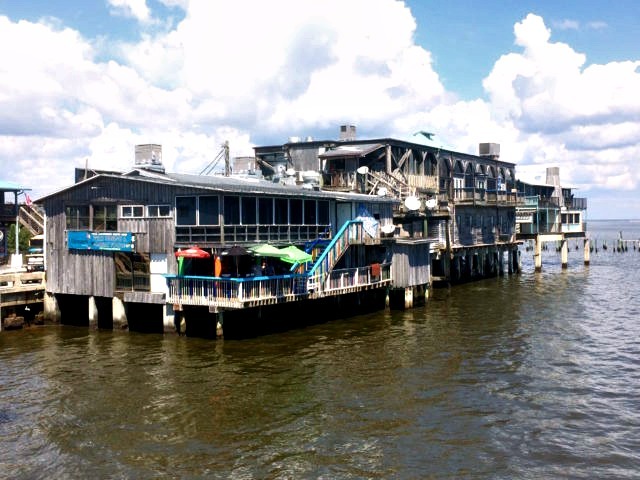 Duncan’s Waterfront Bar & Grill — Located in the big dock building on Dock Street, this is one of several renowned seafood restaurants in Cedar Key. It opened in February 2018 and offers a wide variety of seafood platters. We shared a fried grouper po’ boy sandwich and sweet potato fries. I was driving so I enjoyed a Coke, but my fiance said her pina colada was fantastic! Dilly Dally Gally — This boutique next door to Duncan’s Waterfront Bar & Grill sells seasonal attire, history and nature books, fancy housewares, gifts, and souvenirs. Dilly Dally Gally is an artsy place with southern flair. It’s ideal for southern belles, mermaid wanna-bes, and those who simply like supporting small local businesses. 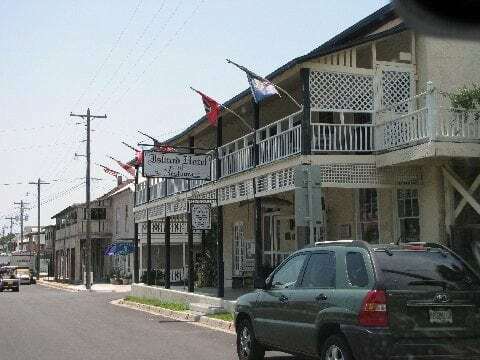 Cedar Key Historical Society Museum — Established in 1977, this museum preserves and tells the story of the town, which was founded in the 19th century and has a rich, colorful story. Thousands of photos, relics, and historical documents are kept here — and many are on display or can be seen on the tours given here. Cedar Key Chamber Of Commerce — This is the place to go if you want to find out what events are taking place in this Florida vacation town. Annual Cedar Key events include the Old Florida Celebration of the Arts in March, 4th of July events, a Seafood Festival in October, a Pirate Festival in November/December, and a Stargazing Party in January/February. Cedar Key Museum State Park — This 18-acre state park features nature trails and is anchored by the home of St. Clair Whitman, who grew up in the area during the late 1800s. He saw the town grow from industrial outpost to vacation paradise and was featured in National Geographic in the 1950s. There is also a historical marker at the park honoring 19th-century environmentalist John Muir, who lived in the town in 1867. Cemetery Point Park — This park is built around an old cemetery that was established during Cedar Key’s early years in the 19th century. It’s a peaceful place to go for a morning walk, a nature-watching stroll, or to pay respects to the folks who helped build the town. Cedar Keys National Wildlife Refuge — Accessible only by boat, the wildlife refuge gives you a real glimpse of Mother Nature… Florida style! The park was established in 1929 to protect migratory birds from hunters. Consisting of 13 islands, Cedar Keys National Wildlife Refuge totals 762 acres and features Cedar Key Light — which was built in 1854 during the area’s early days. It’s the oldest standing lighthouse on Florida’s west coast. Lower Suwannee National Wildlife Refuge — A birder’s paradise, this is an excellent place to watch native and migratory birds, go paddling, and take photographs. The Refuge bat house stands near the entrance and is most active with bats just after sunset. Cedar Key Railroad Trestle Nature Trail — This picturesque trail follows the path of an old railroad line that served the area during its earlier days. The trail surface consists of dirt, grass, and sand — so wear your boots or sneakers! Cedar Key Scrub State Reserve — Oak trees, palmetto, and pine dominate this salt marsh preserve. This free park is a great place for hikers, off-road bikers, kayakers, and canoeists. 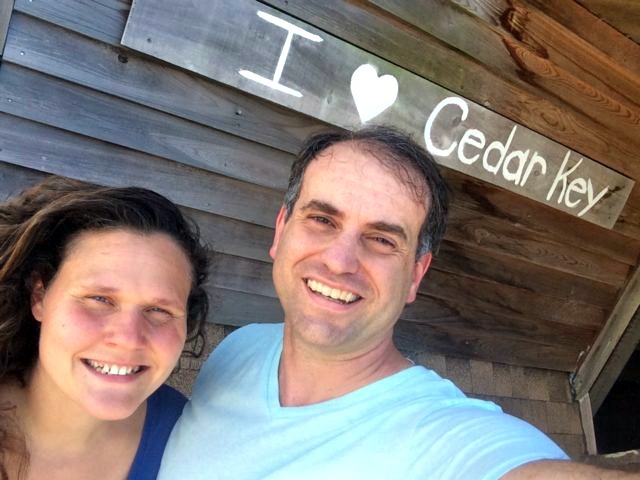 Historians and paleontologists believe the first humans occupied the area now known as Cedar Key around 500 B.C., and the region first appears on Spanish maps as “Las Islas Sabines” beginning in 1542. A watchtower was first built on the keys in 1801, and in the 1840s saw military action during the Second Seminole War and later in the 1860s during the Civil War. Cedar Key was incorporated in 1869, by which time the town saw industrial growth fueled by lumber mills. Eagle Pencil Company was built and became important to the town’s growth, as was the shipping dock located there. However, with the construction of rail lines in Tampa, the shipping industry moved more than 100 miles south and Cedar Key went into decline. The 1890s were a rough period for the island — due to the rampage of a violent mayor and the near destruction of the town by the Cedar Keys Hurricane of 1896. The town’s industry was mainly fueled by fishing at the turn of the century. But this, too, dwindled after oyster populations declined. By the 1950s, the historic town began booming again with tourism which is still one of the biggest economic drivers for the area today.